Resorts make improvements that will make this season fun and memorable. Ski resort owners in Southwest Colorado are looking to move forward to winter 2018-19 and the predicted El Niño weather pattern, which is favorable to snowfall in Southwest Colorado. 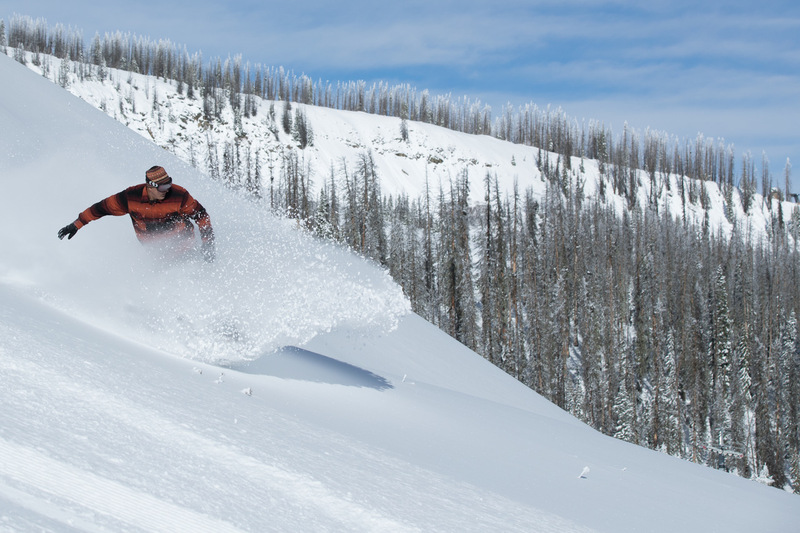 “(W)e head into the 2018/2019 winter season with great optimism and strength, and we are looking forward to a very strong year,” says Purgatory Resort owner James Coleman. Hesperus Ski Area and Purgatory Resort will offer the Power Kids Pass this year, says Kim Oyler, spokeswoman for Mountain Capital Partners, which owns both ski areas. Kids 10 and younger are eligible for the free season passes by registering online, picking a pass up at the ticket offices in Hesperus and Purgatory or getting them at fall ski shows. The passes offer direct-to-lift access with no blackout dates to Purgatory Resort, Hesperus Ski Area, Arizona Snowbowl in Flagstaff, Sipapu Ski Resort near Taos, New Mexico, and Pajarito Mountain in Los Alamos, New Mexico. Hesperus Ski Area has set Dec. 21 as a projected opening date. It will open Thursdays through Mondays, and holidays. Hours of operation will be from 4 p.m. to 9 p.m. on Thursdays and Fridays, from 10 a.m. to 9 p.m. on Saturdays, and from 10 a.m. to 5 p.m. on Sundays. Fridays will be college night at Hesperus, with college students able to buy lift tickets for $19. Active military members can also ski free at Hesperus. Also, three free ski lessons are offered for first-time skiers age 7 and older with purchase of a lift ticket. 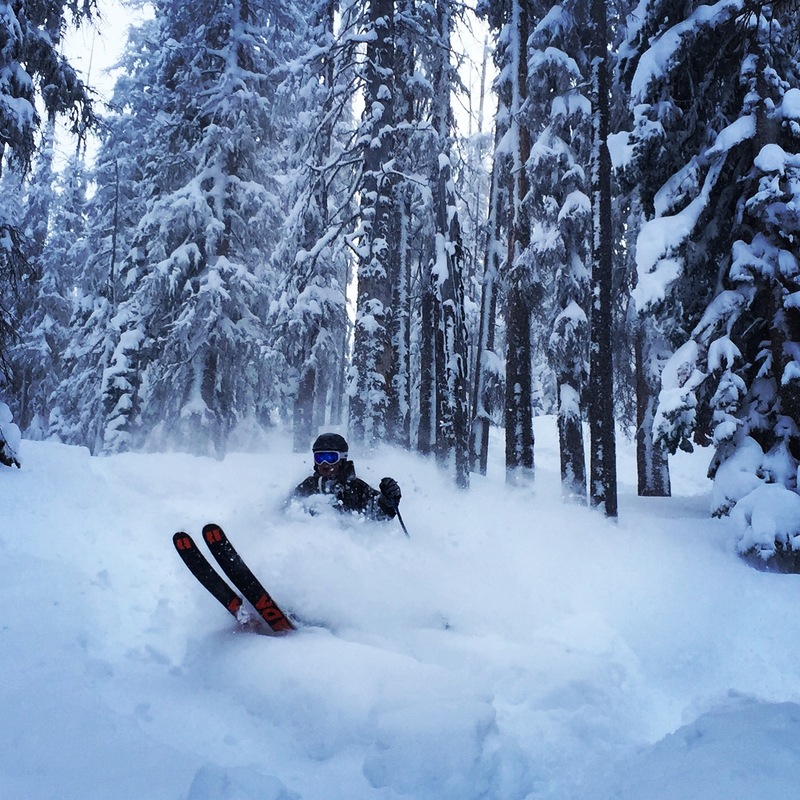 Adult daily lift tickets at Hesperus are $39 for a full day, $29 for Sunday, a half day, and for night skiing. For seniors and teens, ages 13 to 20, daily lift tickets are $33 for a full day, $25 for Sunday and for night skiing. For children, ages 8 to 12, lift tickets are $28 for a full day and $25 for Sunday and night skiing. Kendall Mountain Ski Area is offering discounted prices on season passes. Early-bird prices are in effect until Thanksgiving, and are $150 for adults, $95 for children and seniors and $395 for a family of four (two adults and two children, additional children are $75 each). 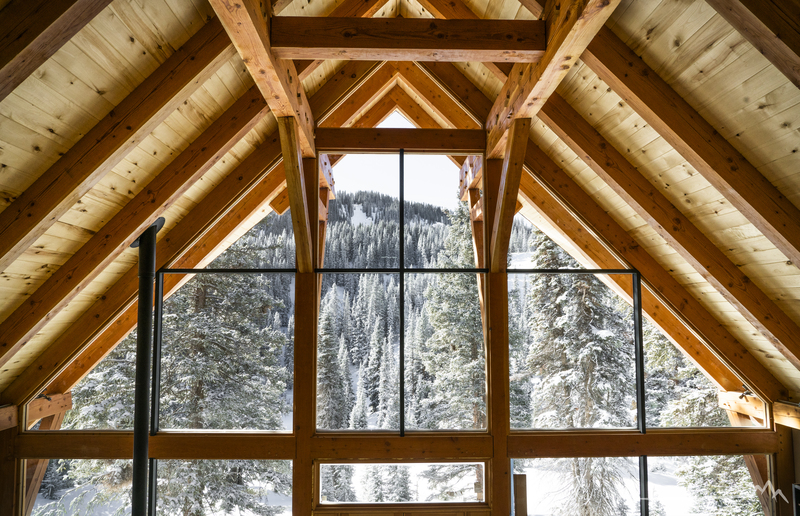 Children 5 and younger ski free, and all pass-holders receive three free days at partner resorts Hesperus, Pajarito Mountain Ski Area and Sipapu Ski & Summer Resort. Kendall Mountain, which has scheduled opening day for Dec. 7, has 16 acres of gentle skiable, family-friendly terrain with a 240-foot of vertical drop, a tubing hill and an ice skating rink. Concessions and ski/snowboard rentals are available at the Kendall Mountain Community Center base lodge. Adult lift tickets are $25 for adults and $17 for children and seniors. Children 5 and younger ski free. Kendall Mountain also joined Colorado Ski Country USA, and it is participating in Ski Country programs that offer discounted lift tickets to member ski areas. The chair lift typically runs Friday through Sunday from 11 a.m. to 4 p.m., with an extended holiday operating schedule for Christmas and New Year’s Day, when the resort will open daily from Dec. 21 to Jan. 1, 2019. In addition, extended hours will be offered for Martin Luther King Day weekend and President’s Day weekend. The Snowscape Winter Carnival will run from Feb. 8 to 9, with night skiing and fireworks on Saturday night and games and activities through the weekend. Night skiing and fireworks will be offered Feb. 9. The town of Silverton is also conducting a preliminary study to examine a possible four-season expansion of Kendall Mountain. A recent viability assessment examined two options: a 300-acre expansion or an 800-acre expansion. Lisa Branner, town of Silverton community relations manager, says if the town decides to pursue one of the expansion options, a full master plan process would begin in 2019. Purgatory Resort consistently made snow in preparation for its season opening. Photo courtesy of Purgatory Resort. The Power Kids Pass from Mountain Capital Partners also will be offered at Purgatory for 2018-19. Purgatory will open two new gladed skiing trails through trees on the front side of the mountain. Mark’s Park is an intermediate trail with natural terrain park features, and the other trail is a beginner gladed tree skiing trail near Lift 2. The additions bring Purgatory’s total trails to 101. The Inferno Mountain Coaster, which is 4,000 feet long with a 300 vertical drop and includes nine switchbacks and on 360 degree loop, will be open this winter. Two new retail shops will open in the Village Plaza. Branded will feature apparel and gift items, and the Board Shop will feature snowboard gear and apparel. The Waffle Cabin, offering hot, made-to-order sugar and chocolate-drizzled Belgian waffles and hot cocoa, will open in the Columbine area. Daily lift tickets for adults (18-64) are $89 for a full day and $69 for late arrival; for teens (13-17) they are $70 for full day and $51 for late arrival; for children (11-12) they are $60 full day and $41 for late arrival; and for seniors (65-79) they are $75 full day and $53 for late arrival. Children 10 and younger ski free as do seniors who are 80 or older. Silverton Mountain plans to open for heli-skiing earlier than usual this year. Photo courtesy of Silverton Mountain. Jen Brill, co-founder and co-owner of Silverton Mountain, says the ski area will offer heli-skiing from Nov. 24 to April 14, opening its heli-skiing season earlier than previous seasons. Usually, heli-skiing begins in the middle of winter. Silverton Mountain, which describes itself as an all-advanced or expert ski area, also will expand its unguided season pass days to 16 days from eight days it offered last season. Unguided skiing will be offered for eight days from March 21 to April 14. 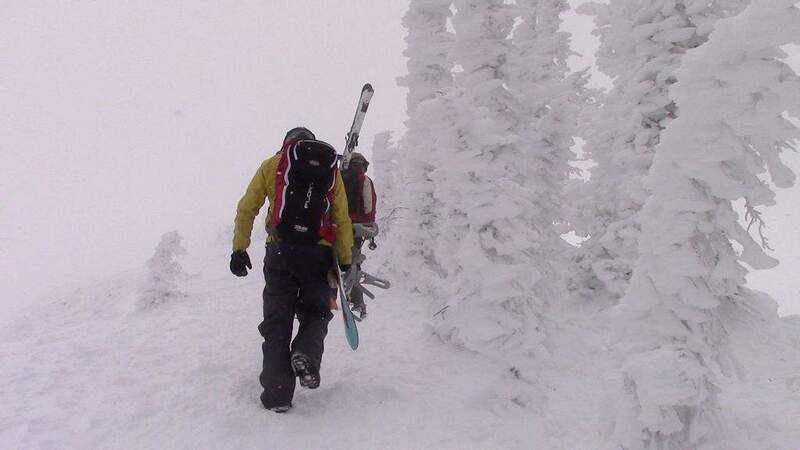 During this period, skiers can also choose to have guided skiing. 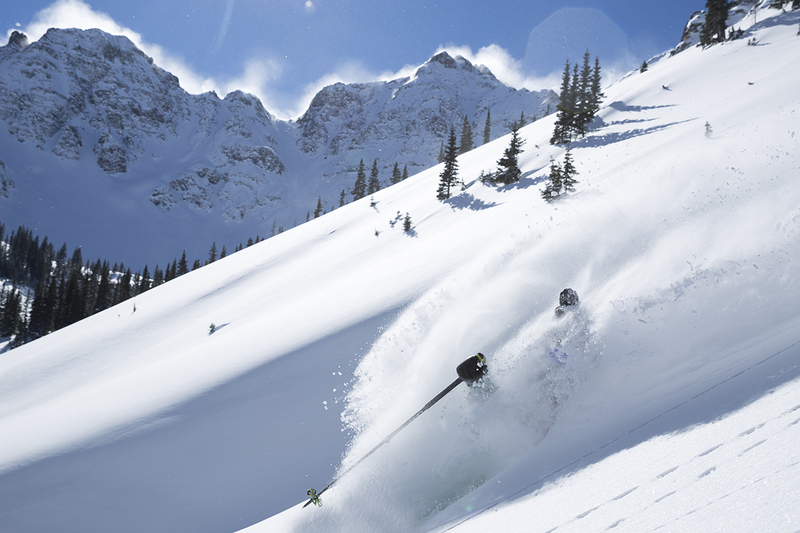 Silverton Mountain has 1,819 skiable acres with access to 22,000 acres for heli-skiing. Unguided skiing lift tickets will be $79. Lift tickets will be $179 for guided skiing. 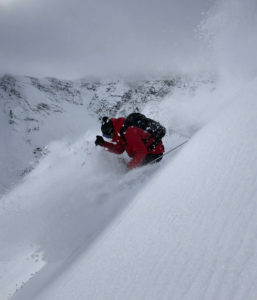 The season starts at Silverton Mountain with heli-skiing Nov. 24. The guided ski season runs from Dec. 27 to March 17 and the unguided season will run from March 21 to April 14. From Thanksgiving to Dec. 27, Brill says the entire resort can be rented for a private day for $9,900. Lease of the ski area is aimed at corporate parties and retreats and family gatherings and other large group uses. “If you get together with 40 friends, you can do it for under $250 a person,” Brill says. Silverton Mountain also is planning special events including games, treasure hunts and ski movies to celebrate Woman’s International Snow Day, which is Jan. 12. The celebration of the day will run from Jan. 11 to 13 at the ski area. Telluride Ski Resort has a new 320-foot covered surface lift to its beginner’s area. Photo courtesy of Telluride Ski Resort. 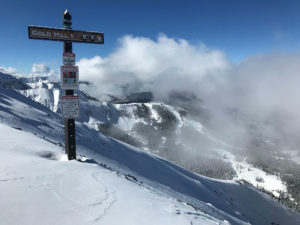 Matt Windt, vice president for sales and marketing, says Telluride Ski Resort has upgraded its beginner’s area, The Meadows. It has a new 320-foot covered surface lift. The area provides a wide area where beginners can learn in a wide space and terrain is used to naturally control speed and assist with learning. 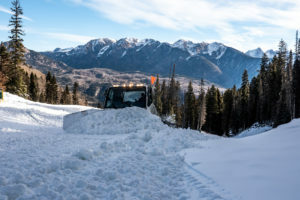 Telluride has also expanded its grooming fleet, which Windt says continues a multi-year, multi-million dollar venture in snowmaking upgrades to improve efficiency and lower the resort’s carbon footprint. This season, Windt says Telluride has become a member of the Epic Pass, an international ski pass that provides access to 64 ski resorts across the United States, Australia, Canada, Japan, France, Italy, Switzerland and Austria. The pass has no blackout dates or restrictions at Telluride, and pass-holders can bypass the lift ticket window and directly go to the lifts. Adult (13-64) daily lift tickets are $91 for a full day and $75 for a half day. Senior lift tickets (65 and older) are $73 for a full day and $60 for a half day. Children’s (6-12) lift tickets are $50 for a full day and $42 for a half day. Rosanne Pitcher, co-owner of Wolf Creek Ski Area, says a new lift, the Charity Jane Express, will open this season, making it easier for skiers who traverse the far eastern side of the ski area to return to the base and the Alberta Lift. The detachable quad lift will provide service to the Horseshoe Bowl and Knife Ridge areas. “People who explored the furthest reaches east would have to walk out,” Pitcher says. A new winchcat has been added to Wolf Creek’s fleet of snow-grooming equipment, and it will allow for better treatment on steeper slopes, Pitcher says. A winchcat on top of a peak allows a snowcat to go down and the winch pulls it back up, Pitcher says. Because of the change, season pass-holders can go straight to the slopes and don’t have to go to the ticket office for a daily lift ticket, Pitcher says. Normal prices for daily lift tickets at Wolf Creek will be $72 for an adult (13 to 64) full day and $57 for a half day, $43 for a senior (65 to 79) for a full day and $36 for a half day, and $37 for a child (6-12) for a full day and $30 for a half day. Pitcher also says the ski area will be coming up on its first anniversary of its lifts being 100 percent solar-powered after agreeing to purchase electricity from the Penitente Solar Project operated by the San Luis Valley Rural Electric Cooperative.